The apparel manufacturing industry is a complex landscape that is often daunting, even to those with a background in fashion. 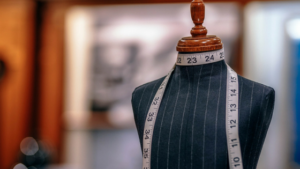 A fashion degree will teach you the essentials of design, pattern making, sewing, and much more, but there’s still more to starting your clothing line. Luckily, there are a handful of tools that help aspiring designers bring their collection to life, and tech packs are just the start. Think of a tech pack as a starting point for getting any garment manufactured. Tech packs provide necessary information about your clothing, acting as instructions for manufacturers when they produce your apparel. Tech packs can help determine things like production costs, preferred fabrics, and components that will need to be sourced, along with an expected time frame for how long it will take to make. So, what should you include in a tech pack? More importantly, this section should have front and back views of your garment in full color. The sketches of your design can be computer generated, hand drawn, or presented with actual photographs. The inspiration page is the place to include garments or collections from other designers that influenced the design. The inspiration page helps your manufacturer create the pattern you desire, so this is especially helpful if you are having your pattern making done by the manufacturer. Inspiration images may involve whole garments or individual details, either of which will be used to create your pattern and achieve the designer’s desired aesthetic. Use this page as a blueprint for the fabrication of your garment. The drawing should be black and white and provide details about trims, construction, and fabrics. The callouts page often includes arrows, highlighting, or other indicators to mark what type of structure to use in any given area. If you use any unique phrases, abbreviations or acronyms, make sure to make a note explaining the meaning of each. The Print-Fabric Placement Page is a more detailed version of your cover page; it is used to indicate how to arrange different prints or fabrics. A front and back sketch of your garment should be colored according to a color key at the bottom of the page to allow your manufacturer to distinguish the desired placement for each type of fabric. The Bill of Materials Page or BOM covers every material used in creating your garment. 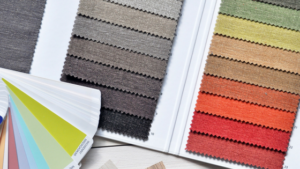 There are five main sections; Fabrics, Trims, Labels, and Packaging. Each section should include Placement (the location of the element in the garment), Comments, Material (the fiber content, weight, identification number, or substance of the material), Supplier, and Color Number. Point of Measure (POM) indicates how each part of the style should be measured to ensure the garment is the correct size and fits correctly. Description provides greater detail for the POM code. The description needs to include not only what to measure, but how to measure it, as well. Requested denotes the actual measurements for the garments development. If you are unsure of the measurement, leave the column blank and include a notation that the factory will need to help determine the actual measurement. The spec can then be measured and filled in at the first fit. Tolerance (+/-) indicates the most a measurement is allowed to be over or under the requested measurement. This number is essential during production to ensure that the specs of the product are in the approved range. The Comments section is for adding important notes that did not fit in the previous sections. I have finished my tech pack, what now? Actual column: The area where the measurements of the fit sample are listed to help visually compare the garment to the requested specs. Revised column: Is the area to input the measurements that the next sample or production should meet. The second fit specs page is identical to the first but gets filled out after examining the first fit. The Fit Comments Pages include all corrections needed for each fit sample. Thoroughly review and comment on the fit and construction of the product to communicate your expectations. Once satisfied with the final product, provide the manufacturer with a graded specs page. This page explains how to scale each garment so that the fit is the same for each size. Illustrate graded specs through a chart of POMs (Points of Measure) for your product in all sizes. That’s everything that goes into a tech pack! To get started today, download the production checklist we use with all of our clients today – and we’ll throw in our costing template, fabric & trim directory, and development cheatsheet too.